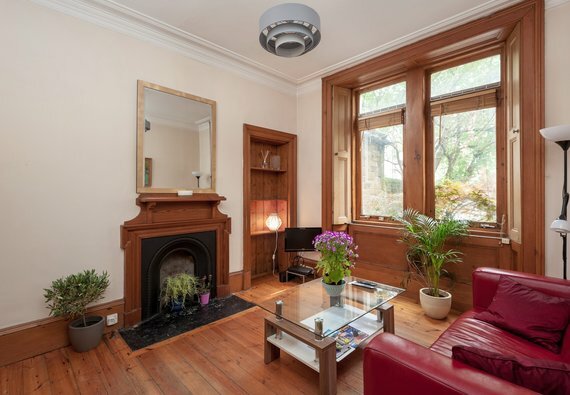 The Richmond Terrace Residence is a delightful pied-à-terre in Edinburgh city centre. Located in the trendy West End and sleeping up to two guests, this lovely apartment is perfect for business and leisure travellers alike. The living room has a sofa, TV and stripped wood flooring, and guests have access to unlimited WiFi. The kitchen is fully equipped with everything you need for your stay including oven with hob, washing machine and microwave. The master bedroom has plentiful guest storage. A family bathroom completes this charming home from home. The Richmond Terrace Residence is ideally located right in the heart of the West End, awash with Georgian architecture, upmarket bars, and independent cafes and restaurants. Edinburgh’s main tourist attractions are just a short stroll away, as well as Haymarket station, tram and Airlink bus stops. Exterior This property forms part of a traditional Edinburgh tenement building. Parking notes On street pay and display parking is available locally. Interior layout A central hallway leads to living room, separate kitchen, bathroom, and master bedroom. No reviews yet for The Richmond Terrace Residence.